Are you the guy or girl everyone calls for help hauling off boxes, branches, furniture, and anything else that needs to go? There are lots of people in your community who need junk removal services, and you can get paid to do them with Takl. So what exactly is involved in a junk removal job? As a Provider on Takl, you’ll get an alert when someone in your area needs a haul away. If you’re up for the job, you’ll make yourself available for the chore. Once you’re picked, make sure you have any equipment, including your pickup truck, that you need. Arrive at the job site at the designated start time. You’ll then load up the items and dispose of them as needed. All payments on Takl are made through the app. After the user has paid for your haul away job, you can expect to see the money in your account in about 3 days. · Age and condition of your vehicle– you’ll need reliable transportation, specifically a pickup truck, to take those junk removal jobs. · The customer pays the disposal fee, so you won’t need to budget for this. · Takl connects you with people in your community who need your junk hauling skills. On Takl, the jobs come to you. No need for you to network or advertise. So you’re ready to become a haul away Provider on Takl. Awesome! We want to help you and the customer have a great experience. Below are some tips to help you maximize job opportunities and income potential. · Reach out to the customer through the Takl app ahead of the job to make sure you understand everything that’s expected. This will help you have all the information and tools you need. · Text the customer when you’re about to head their way. 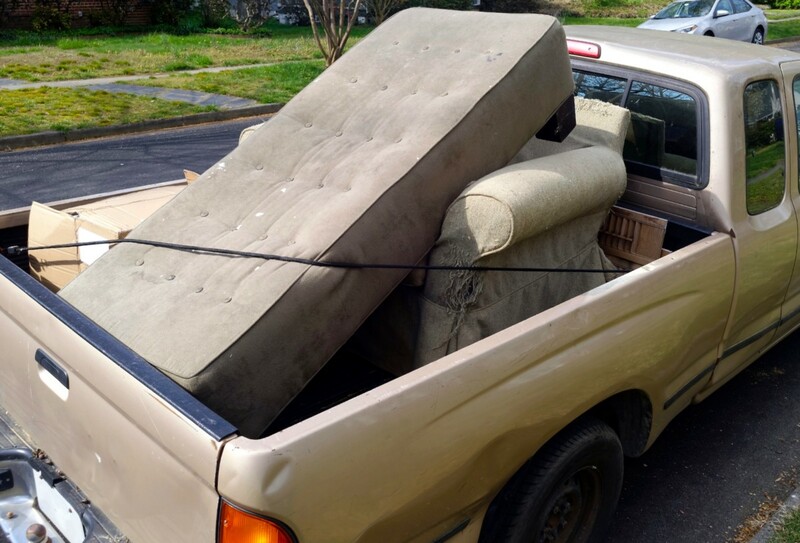 · Before you leave the job site, if possible, check with the customer to make sure you’ve got everything loaded that needs to go. If there’s an opportunity to help with additional chores, you can negotiate a price and add it on to your current job with the +Add Work button. Ready to start making money off your truck? Become a Provider on Takl!